Okay - we've had our fun. We've called it the One Eighty, the loser in the early skirmishes and the Ex-box. We've slammed Microsoft's PR, hammered former chief Don Mattrick for being rude about people without network connections and attacked both the decision to try to move to a digital future and then the U-Turn that followed. But the time has come to get real about the prospects of the Xbox One. Let's be clear - the PS4 isn't going to 'crush' the One and many, myself included, remain fairly certain that when we look back from the far-flung future of Xbox Two and PS5, the One might well have proved to be the most successful of this particular generation. 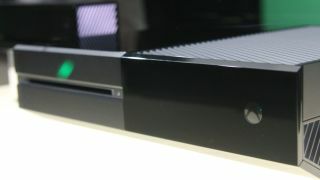 There are plenty of reasons why it's been a ropey start for the Xbox One and Microsoft. I'm not going to defend Microsoft's ham-fisted efforts to show its next-gen console in the best light, and I'm not even going to pretend that I haven't dabbled with the prospect of transferring my preference to the PlayStation over the last couple of months. However, the time has come to redress the balance and point out that, far from being an unmitigated disaster of a console, this is a wonderful gaming machine that will flourish. The problematic launch and the chorus of criticism that followed are nowhere near enough to sink this hardware. To be perfectly clear, I simply cannot see this becoming a Zune or a Surface RT for Microsoft. First up, this has to be a success for Microsoft, and it has the financial might to correct the Xbox's message ahead of launch. Remember that, for all the fanboy baiting going on, the majority of consoles from both Sony and Microsoft will be sold to people who have absolutely no idea who 'won' E3 or what features were touted and then changed. All that the majority of people will see is final reviews, lots of posters and plenty of hype. If the Xbox One looked likely to be a dreadful product then all the hype in the world might not be enough, but it's important to note that both of the next-gen consoles are going to be terrific. Quibbles aside (and no tech is perfect) there is enough exciting, ground-breaking and, frankly, awesome new stuff in both the PS4 and Xbox One to delight any technophile or gaming addict. Next up, the price. Yes the PS4 is cheaper, but Microsoft's decision to bundle the Kinect might well prove to be a massive plus point in the long run. I'm not the first to point this out, but developers will be well aware that every Xbox One owner has a Kinect - and that is a powerful incentive to make the most of the hardware. Plus, again thinking outside of the core gaming audience, a huge number of gamers are now a little older and with a lot more need to justify their purchase as more than just their folly. When I spoke to my wife about the console battle her only response was 'which is the one with the Kinect? I want that one' - a sentiment that will be echoed in households across the planet. And then there's Sony - a company still battling back from a dreadful few years: PSN hacks, a horrific earthquake and tsunami and the failure of the Vita to really grasp the portable market. Sony is a wonderful company, but it's still sailing through dire straits and that is never a comfortable thought for those invested in the company's products. Last, but not least, it should be remembered that the Xbox 360 was improved vastly through its lifecycle - from thinner versions to Kinect, from better UIs to better online gaming. The PS3 also evolved rapidly, but not as seismically and you can bet that the folks at Redmond are already beavering away on the next big peripheral. So let's lay off the Xbox One - it's had a troubled birth, but I'm sure it's going to be a robust toddler, and it will be going toe-to-toe with the PS4 in no time at all.